Want to keep your business going even in the toughest conditions? 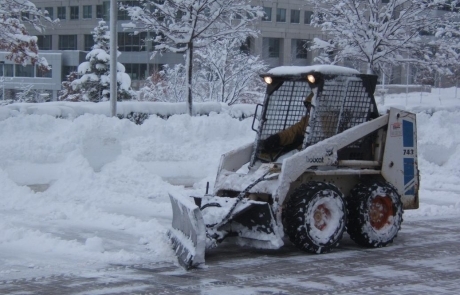 During St. Louis’ winter, you need a reliable and responsive snow removal service to keep your property safe for employees, while allowing your business to operate with as little interruption as possible. 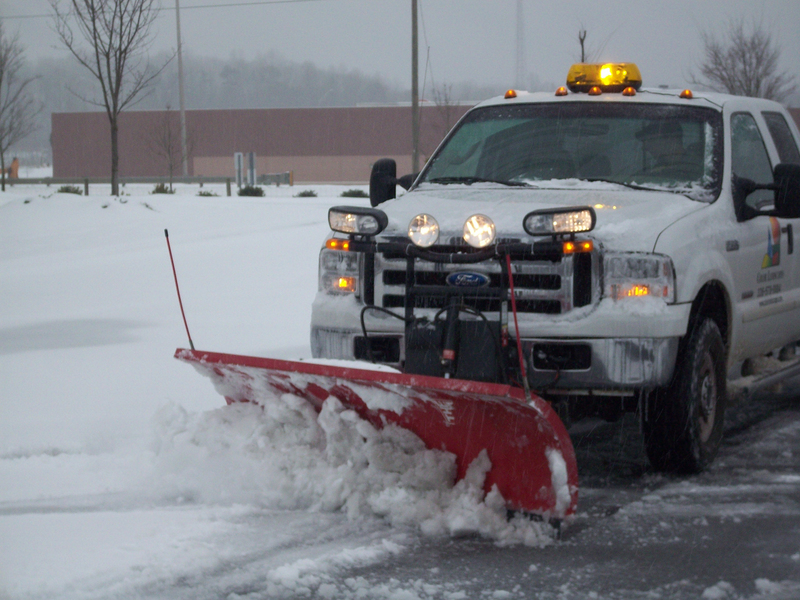 Buchheit Snow Removal has been an industry leader in Snow Plowing and Ice Removal in the St. Louis Area for over a decade. 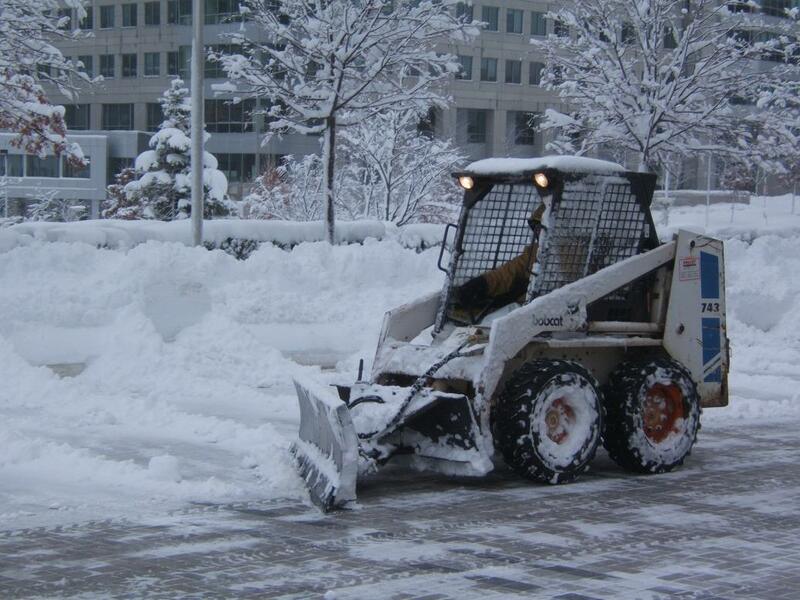 As a snow removal company, snow and ice management is the key to making our clients safe in severe weather. 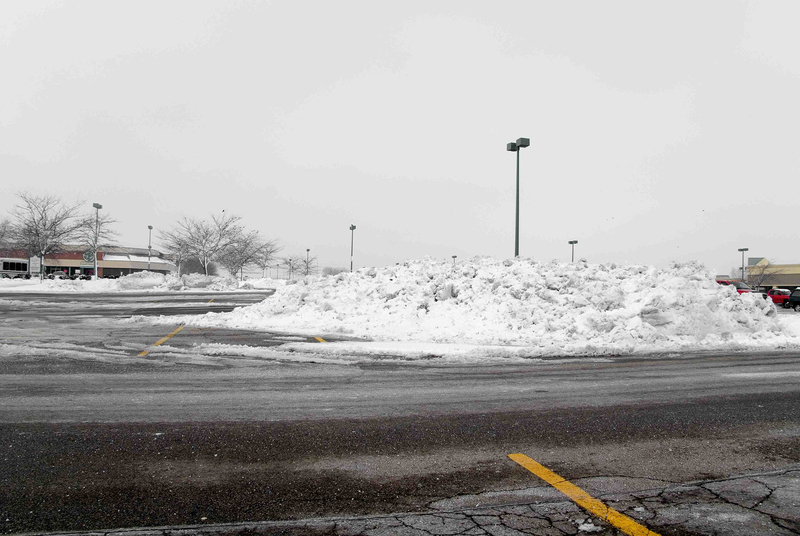 Proper Snow and Ice removal helps your customers stay safe in the parking lot, helps reduce risk on property owner, and helps keep revenue up by business continuing during inclement weather. 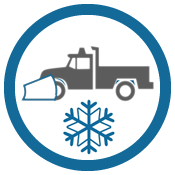 Buchheit Construction Snow Removal helps maintain safe winter environments for our customers by providing responsive, efficient, and reliable snow removal and ice control services. We are committed to our customers before, during, and after a snow storm. Did you know that according to OSHA “15% of all accidental deaths…” are caused by “slips, trips, or falls”? Not having proper snow removal could also be dangerous. 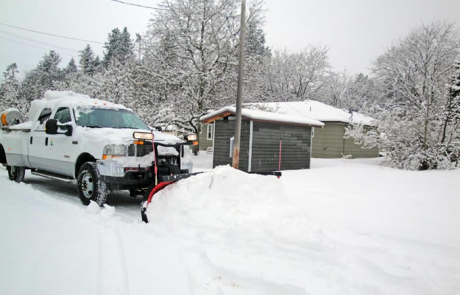 What type of snow removal do you offer? 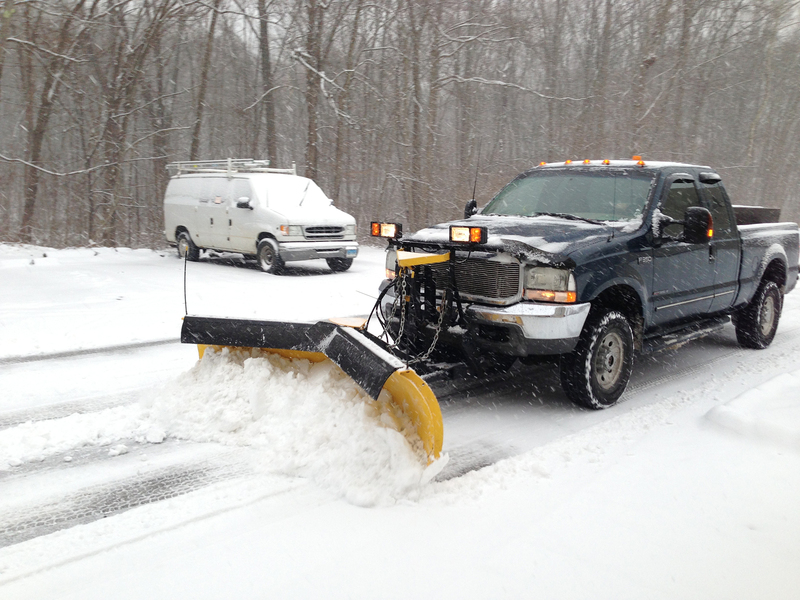 Buchheit Snow Removal offers full winter enrollment to our plow and snow removal services. This means Buchheit Construction will automatically be there clearing the snow from your property. You don’t even have to pick up the phone. Of course Buchheit Construction also offers individual snow removal and plowing jobs, in case you just need help for those bigger blizzards and storms. So, why should I choose Buchheit Snow Removal? 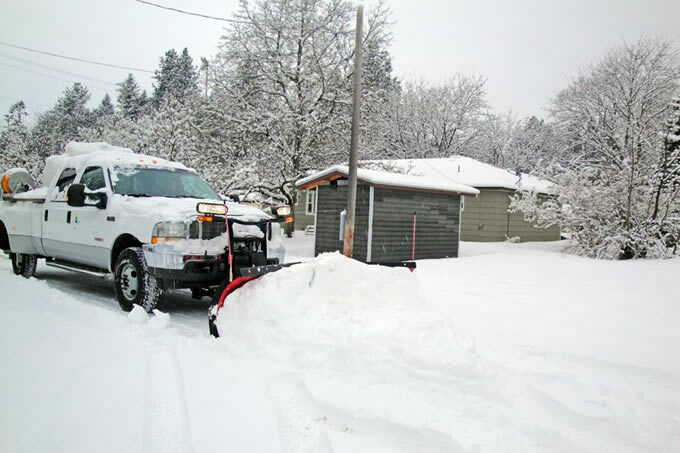 Buchheit Construction Snow Removal has been working in business for over 35 years, and we have substantial experience. We are bonded and insured in our areas of operation, for we take our professionalism seriously. Furthermore, our customers are satisfied with our superior work. When you choose Buchheit Construction, we offer you high quality service. Don’t wait till there is snow on the Ground! Our foundation was starting to crack so we called Buchheit Construction. They did excellent work with excellent customer service. Our sidewalk was in shambles. Buchheit's fast service made the situation a breeze. Thanks! My walkway to my front door had been outdated for some time. Buchheit's options made to decision easy and it looks great! Buchheit did a fantastic job on my drive way. Thanks! We bought a new home that was perfect for us except the horrendous driveway! We called Buchheit Construction and they built a brand new one. We couldn't be happier with the results! We needed our long driveway cleared for the weekend. Bucheit was fast and reliable. The first name I go to for my patio needs is Buchheit. The only people I trust with my home. Great work! We love our new patio. Summer is going to be a whole lot more fun! If it wasn't for Buchheit, our driveway would still be cracked and hideous! I needed a foundation placed for our home. Buchheit did a fantastic job. Thanks to Buchheit Construction, we don't have a simple gravel driveway anymore. Concrete really is the way to go! Our concrete retaining was starting to crack and even leak in some places, so we called Buchheit and they fixed it right up! We absolutely adore our new concret patio. Thanks, Buchheit! Winter left our sidewalk in ruins. Buchheit made quick and easy work fixing that for us! I am very pleased at the work Buchheit did on our patio. Looks great! I love my new back patio. Thanks Buchheit! Our new patio makes our backyard glow thanks to Buchheit! Without Buchheit's snow removal service, my parking lot would never get cleared. Thanks! We desperately wanted a new patio. Buchheit's options made the decision easy. Buchheit installed our new driveway and it looks perfect. Not to mention how great their service and timing was! Buchheit did a great job on my sidewalk! Thanks to Buchheit, we were able to have our concrete floor cut into to so we could install a bathroom and plumbing in our basement. Buchheit relayed a new patio for me. Looks great! Never thought my driveway could look this good! Thanks! We really enjoy our new concrete retaining wall courtesy of Buchheit Construction! These guys at Buchheit really are professionals. They were able to work with us to help us get exactly what we wanted. So happy that we chose Buchheit! Buchheit does a great job clearing off our parking lot. Before and after the snow, we're always covered when Buchheit does their thing. We're usually the DIY type, but when it came to cutting into our concrete driveway, we were pretty inexperienced. Thankfully Buchheit was there to help! We love our new patio. Thanks Buchheit! My front patio was in need of an update. Buchheit made the work beautiful. Very satisfied! Buchheit couldn't have been a better choice for our driveway repair! Buchheit finished our project a little sooner than expected and they were very nice and respectful the entire time. Would recommend! Our new stamped driveway is gorgeous! Thanks, Buchheit! We absolutely love our new concrete patio! Thanks, Buchheit! Buchheit provided me with a new beautiful sidewalk and the best customer service. Our patio is the best part of our yard now thanks to Buchheit. Great work! I have to say Buchheit's work is fantastic. Our sidewalk has never looked better! Thanks to Buchheit our home looks instantly better. Great work! We love our new patio. Can't wait for summer! We absolutely love the work Buchheit did on our patio. Everything was easy and turned out great! Buchheit replaced our old driveway in a flash. Thanks! Our driveway had this horrible crack through it. We made the right decision calling Buchheit to replace it. Looks like it never happened. Buchhheit did a fantastic job repairing my driveway. Crack free and smooth. Thanks! A friend recommended Buchheit to me when I told them I needed a better patio. I'm so glad I gave them a call. They are true professionals and gave me the perfect backyard patio. Buchheit brought our backyard together with a beautiful patio. Thanks! I love my new driveway from Buchheit. The work the did is fantastic! I'm so glad I don't have to go and shovel the sidewalk in front of my building. Buchheit does such a great job removing the snow for me! We absolutely LOVE our new concrete patio that Buchheit installed! Thanks to Buchheit, our backyard looks amazing with the addition of our new concrete patio! Buchheit installed the concrete foundation for our new home and we couldn't be happier with the results! We can't believe the work Buchheit did on our porch. Looks great! Our concrete patio was in desperate need of repair and we didn't know much about concrete maintenance. Thanks to Buchheit, we didn't need to worry about it! Our new concrete patio is far more than just satisfactory. Thanks, Buchheit! My driveway has never looked better! Thanks! Our concrete patio was starting to look kind of old and dilapidated. Thanks to Buchheit Construction, our patio looks brand new! Buchheit fixed our broken driveway and we couldn't be any happier with the results! I love the new patio Buchheit put in. Our backyard has never felt so good! Everything was done to perfection. Friendly staff and great work. Highly recommend them. Our driveway is crack free! Thanks Buchheit! I needed a foundation for our project house. Buchheit delivered. Our driveway needed an extension for family gatherings. Buchheit did a great job and did it fast. Thanks! They did an excellent job repairing our patio. Thanks! Buchheit made my patio exactly the way I wanted. Buchheit did an excellent job fixing up the patio by our deck. Thanks! Buchheit Construction did an exemplary job pouring my new patio. Being a concrete worker myself, I can see the quality. Thanks again! Buchheit did an amazing job on our concrete retaining wall! We love the new front patio Buchheit put in. Great job! We love our refurbished patio. It looks good as new! Our new patio looks great thanks to Buchheit! Our sidewalk looked awful. Buchheit's concrete options made it easy and simple to make the choice to repair it. Our foundation was cracking and leaking water through our basement walls. Thanks to Buchheit, that's merely a thing of the past! We wanted a beautiful new back patio for the upcoming summer. Buchheit delivered just that! Our concrete retaining wall was starting to crack and even fall apart in some spots. Buchheit came, cut out what needed to be replaced, then replaced them. Now it looks good as new! We usually like to do our own home projects, but when it came to pouring a concrete driveway, we decided to call Buchheit. They did an excellent job and seemed very interested in every detail of our project. no more cracks in my driveway, great job guys! Buchheit did a fantastic job fixing our sidewalk. Great work! Why Us? See The Buchheit Difference!